Dance to Cello. 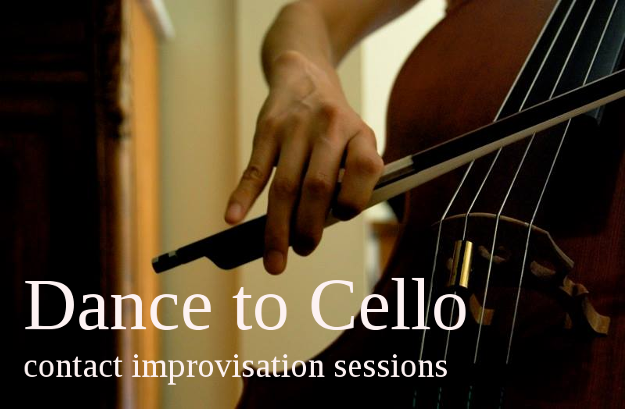 This is a dance session ('jam') for contact improvisation with an introduction /warm-up and musical accompaniment by cello. All are welcome including those not at Oxford University and beginners. Come and dance or learn to dance, contact improvisation/ contact tango with us in University Parks, Oxford. All welcome. We're meeting 7.00pm at Keble Gate, University Parks (not the main gate!) which is at the intersection of Keble Road & Parks Road, to find a spot in the park. There is an optional introductory session or simply come to dance. Note: no amplified music is allowed in the park but acoustic instruments welcome. Contact improvisation is a dance which originated in the 1970’s and which has now spread throughout the world. It’s often taught in university dance courses but it’s easy to learn and fun. It’s an improvised dance - a dialogue in movement - which has a fluid and dynamic form, and it’s social dancing; not stage dancing. Suitable for everyone, whatever your age, gender or dancing experience. Facebook event: Please see our Facebook group for the event entry. Thanks. Please bring a water bottle and wear loose clothing in which you can move freely. If you'd like a contact phone number for us then please join the email list (see below) - it can be difficult to locate people in the park when the dance has started. Location: Meeting at Keble Gate, University Parks, Parks Road, Oxford. The gate is opposite the intersection of Keble Road & Parks Road. Keble Gate is shown on this map). You can also see a picture of Keble Gate on Google's Streetview too. Time: Dance session 7.00 - 9.00 pm. Come and dance or learn to dance, contact improvisation/ contact tango with us in University Parks, Oxford. All welcome. We're meeting 7.30pm, Keble Gate, University Parks (not the main gate!) which is at the intersection of Keble Road & Parks Road, to find a spot in the park. There is an optional introductory session with Andy Solway or simply come to dance. Note: no amplified music is allowed in the park but acoustic instruments welcome. Come and dance or learn to dance, contact improvisation/ contact tango with us in University Parks, Oxford. All welcome. We're meeting 7.30pm, Keble Gate, University Parks (not the main gate!) which is at the intersection of Keble Road & Parks Road, to find a spot in the park. There is an optional one hour class or simply come to dance. Note: no amplified music is allowed in the park but acoustic instruments welcome. Come and dance contact improvisation/ contact tango with us in University Parks, Oxford. All welcome. We're meeting 7.30pm, Keble Gate, University Parks which is at the intersection of Keble Road & Parks Road, to find a spot in the park. Note: no amplified music is allowed in the park but acoustic instruments welcome. Please note: there is no Dance & Class on Wednesday 18 May. At the next drop-in class and dance practice ('mini-jam') on 25 May for contact improvisation, we will be exploring techniques for fluidity in our moving and dancing. Suitable for beginners and experienced dancers. Note: Our next 2 hour jam is on Wed. 1 June. Please bring a water bottle and wear loose clothing in which you can move freely. Cost: £5 concessions (students/club members/benefits); £8 otherwise. Location: University Parks, . (See map for location). Note: We'll use the MPR (Multi Purpose Room) on the lower floor of the Club; ask at the reception if necessary. Time: Dance session 8 - 10 pm. This is our maxim: All life a dance; everyone a dancer; every moment a dance. 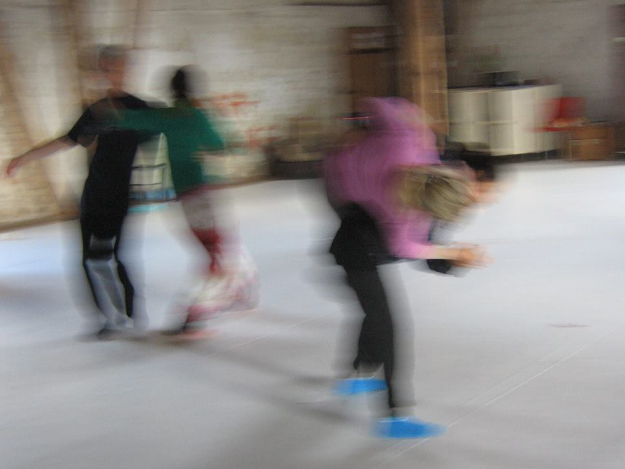 At this week's drop-in class and dance practice ('mini-jam') for contact improvisation, we will be exploring tools for improvising and developing our technique for contact improvisation. Suitable for beginners and experienced dancers. Note: Our next 2 hour jam is on Wed. 1 June. Our regular monthly dance session on the first Wednesday of the month for dancing contact improvisation. All welcome including those not members of the University. Open invitation to improvising musicians to play at the jam. Next week, we have a drop-in class/mini-jam. See you on the dance floor! This is a drop-in class and practice for dancing contact improvisation aimed at Acro Yoga practitioners but it's suitable for all. In this session we'll add something to Acro Yoga - movement, dance! Beginners and experienced dancers welcome. This is a drop-in class and practice for dancing contact improvisation. Note: this is the first session after the Easter break. This is a drop-in class and practice for dancing contact improvisation. We will be exploring movement off the floor around our partner, and bringing movement from other dance practices into the class. Suitable for beginners and experienced dancers. Note: this is the last session before the Easter break. 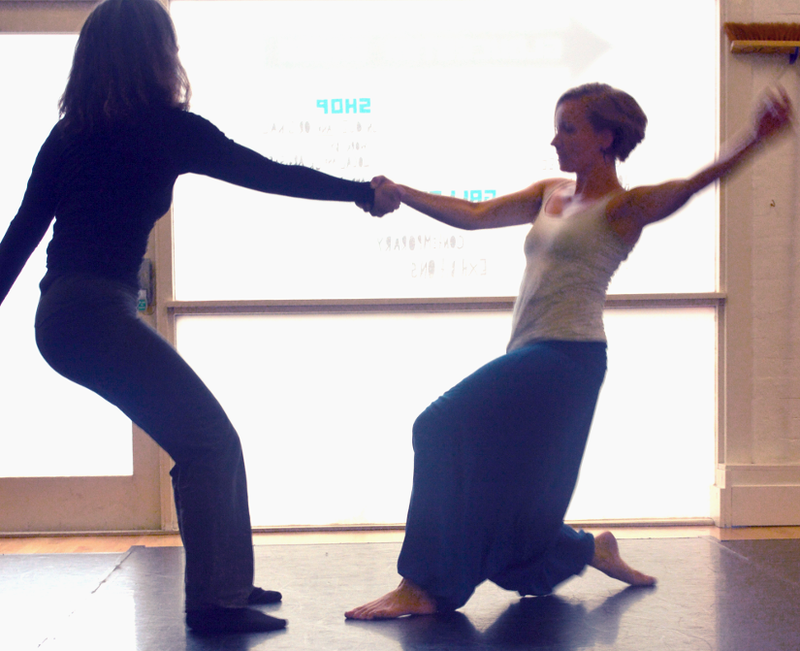 This is a drop-in class and practice for dancing contact improvisation. We will be exploring intention and opportunity in dance. Suitable for beginners and experienced dancers. Our regular monthly dance session on the first Wednesday of the month for dancing contact improvisation. All welcome including those not members of the University. Open invitation to improvising musicans to play at the jam. Next week, we have a drop-in class/mini-jam. See you on the dance floor. Our regular class/dance practice 'mini-jam' where we'll move from grounded states of relaxation to flying through the air; lengthening and radiating as we move. Suitable for everyone whatever your dancing experience. Note: Our next 2 hour jam is on Wed. 2 March. A weekly drop-in class for contact improvisation, and a half hour 'mini-jam' to dance/practice dancing. In this class, we'll explore using our arms in states of tension and release; walking; and gravity and anti-gravity. We'll have use of a matted space for part of the session. Suitable for everyone whatever your dancing experience. Note: Our next 2 hour jam is on Wed. 2 March. A weekly drop-in class for contact improvisation, and a half hour mini-jam to dance/practice dancing. In this class, we'll look at qualities of movement, and ways into and out of contact. This class is suitable for people of all experiences and backgrounds. Note: Our next 2 hour jam is on Wed. 2 March. 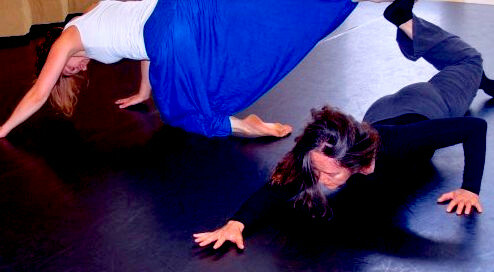 Contact improvisation is a dance which originate in the 1970’s and which has now spread throughout the world. It’s often taught in university dance courses but it’s easy to learn and fun. It’s an improvised dance - a dialogue in movement - which has a fluid and dynamic form, and it’s social dancing; not stage dancing. Suitable for everyone, whatever your age, gender or dancing experience. We'll have a jam on the first Wednesday of the month, starting Wednesday 3 February, 8 - 10 pm at the University Club, Mansfield Road, Oxford. All welcome including those not members of the club. Open invitation to improvising musicans to play at the jam. Next week, we have a class/mini-jam. See you on the dance floor. If you'd like to try dancing a little contact improvisation/contact tango then this for you! An introduction for beginners with no other commitment. We run regular classes and monthly dance sessions ('Jams') for those who'd like to continue. Only £2.50 for this taster session! Why not bring a friend too. 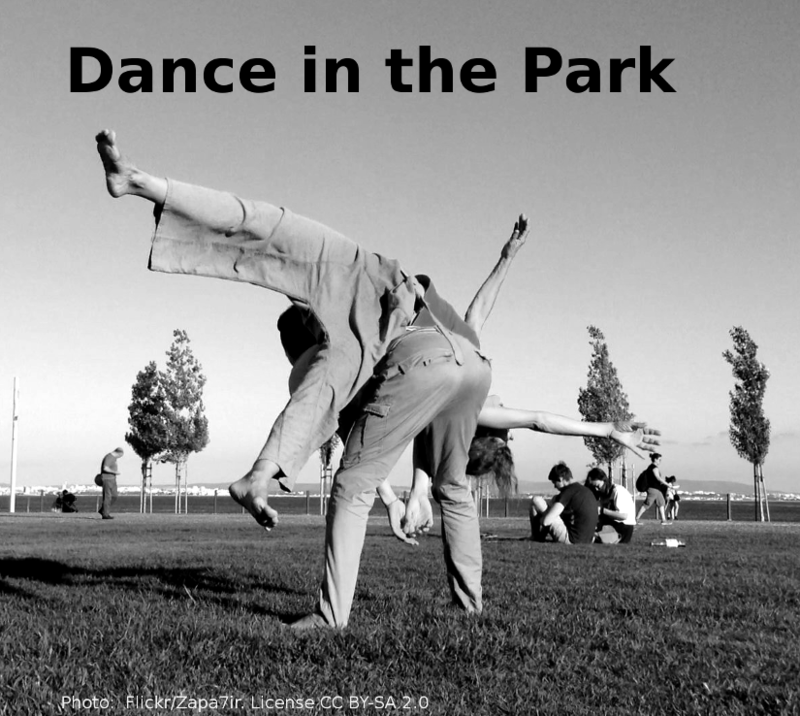 This is a two hour jam (dance session) for contact improvisation and contact tango. We will have a monthly jam in 2016 on the first Wednesday of the month from February 2016 (3 Feb. 2016) and thereafter each month. Please invite people who you might know, or take the opportunity to show them a new dance. New year - new dance! Location: Oxford University Club, 11 Mansfield Road, Oxford, OX1 3SZ. (See map for location). Note: We'll use the MPR (Multi Purpose Room) on the lower floor of the Club; ask at the reception if necessary.